‘Kleep towit, klip, klip, too-ow-wit’ refers to the phonetic vocalisation of Lapwing birdsong, one of the most frequent visitors to Rainham marshes in Purfleet, Essex. 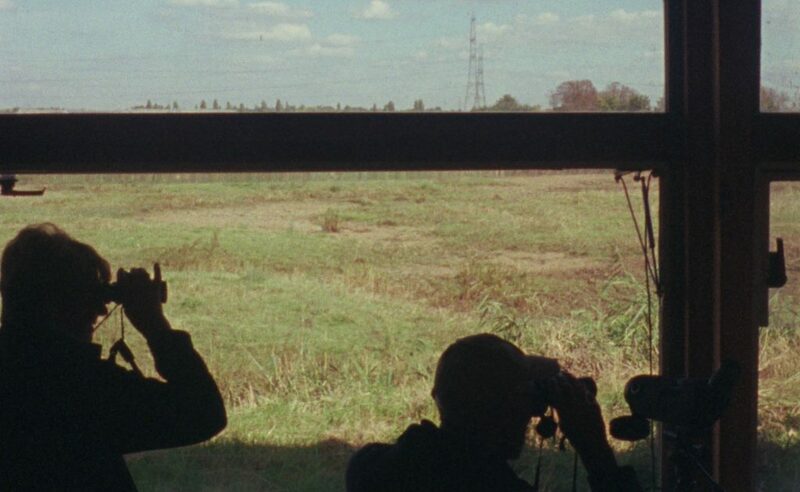 Situated on the edgeland between city and countryside in the transient landscape of the Thames Estuary, this is a place layered with the traces of ever shifting global narratives of empire, industry and movement of people and goods. Maria Anastassiou explores how this pocket of nature is contained and consumed by focusing on the figure of the bird watcher. 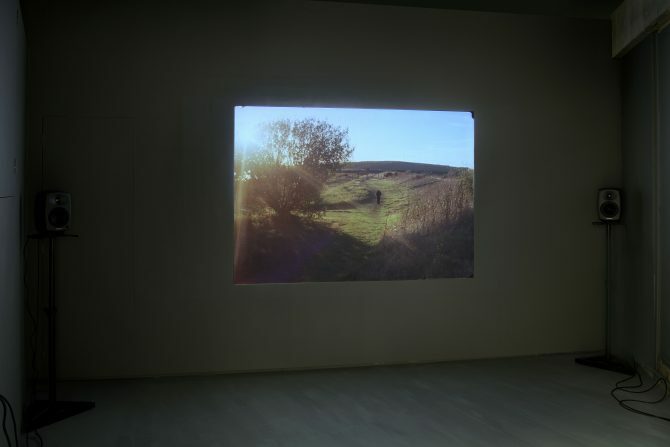 The film follows a walk from day to night along the inner and outer peripheries of the reserve, shot on a hand cranked 16mm camera. 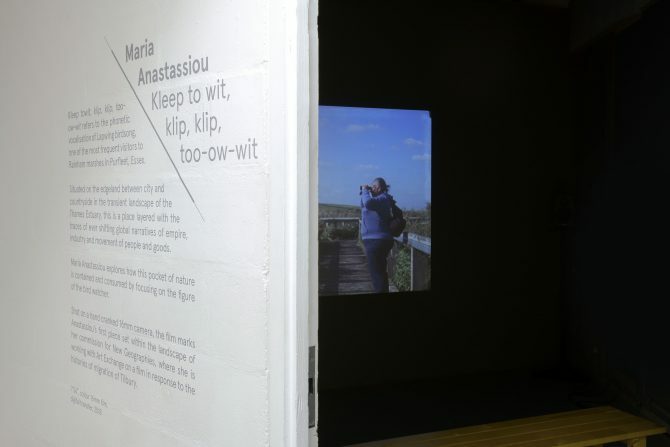 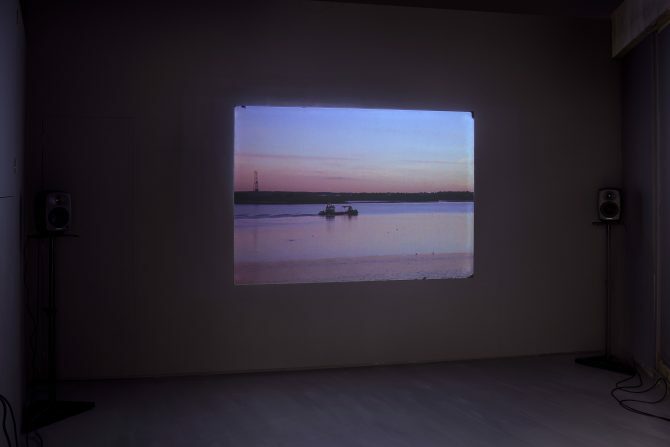 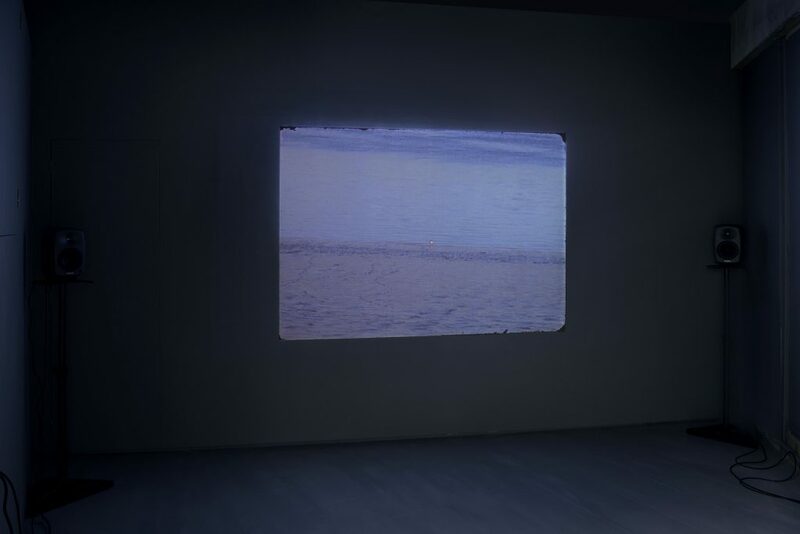 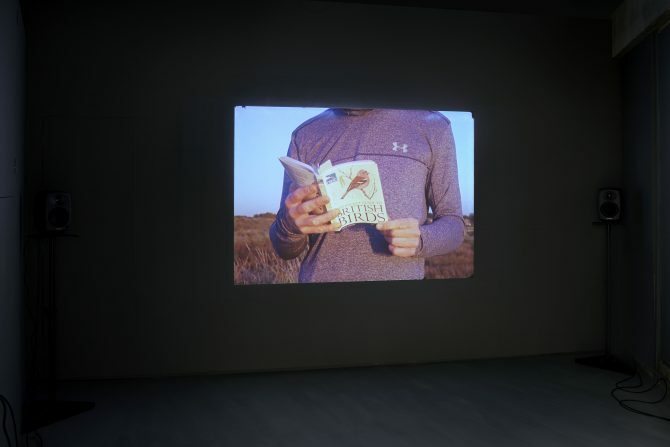 It marks Anastassiou’s first piece set within the landscape of her commission for New Geographies, where she is working with Art Exchange on a film in response to the histories of migration of Tilbury.